Fishing boat captain Baker Dill (Matthew McConaughey) leads a quiet life, leading tours off a beautiful tropical enclave called Plymouth Island. 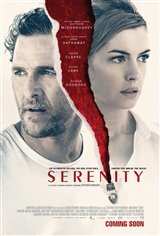 The tranquility is shattered when his ex-wife Karen (Anne Hathaway) comes to him with a desperate plea for help. She begs him to save her—and their young son—from her new, abusive husband (Jason Clarke). Karen tells Baker she'll pay him $10 million to take her husband out to sea on a fishing excursion, then toss him overboard and leave him for dead. As he struggles between right and wrong, he slowly begins to realize that all may not be what it seems.